GILOCATUR WOULD LIKE TO WISH EVERYONE OF YOU, HAPPY NEW YEAR! 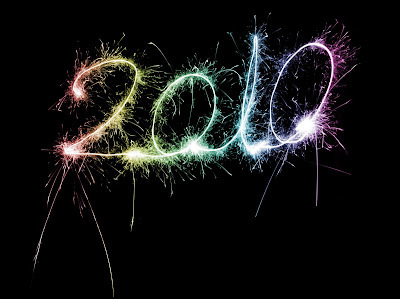 WISH ALL THE BEST FOR THE NEW YEAR OF 2010! GILOCATUR INGIN MENGUCAPKAN SELAMAT TAHUN BARU KEPADA SEMUA! SEMOGA TAHUN 2010 LEBIH CEMERLANG, LEBIH BANYAK KEJAYAAN DAN LEBIH KENANGAN MANIS. HADAPI SEGALA CABARAN DENGAN TENANG, TABAH DAN SABAR. 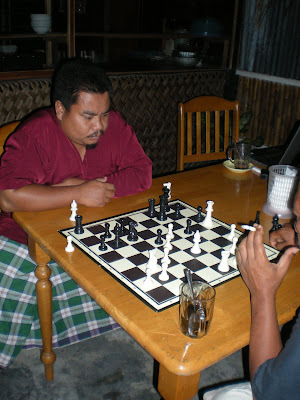 Roslan Sulaiman, kembali aktif dalam catur. 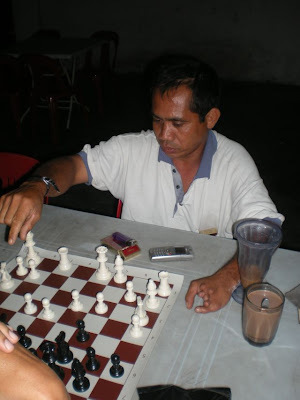 Merupakan setiausaha Persatuan Catur Sabak Bernam (PCSB). GiLoCatur mula mengenali beliau sewaktu MBSA Open. Kepada peminat2 catur di daerah Sabak Bernam dan sekitar Sungai Besar, jangan segan silu menghubungi beliau (012-661 1569) untuk "pekena" sepapan dua di "port catur" selalu beliau berada. Dan jangan lupa untuk mendaftar sebagai ahli PCSB! 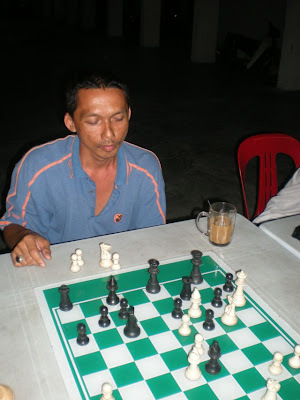 Cikgu Hashim, Malaysian style of chess! 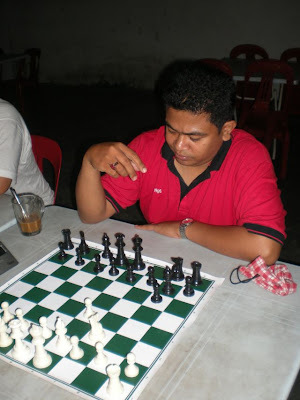 Shamsuddin aka fireyrook, one of the uprising Malaysian chess bloggers. Ooops! Depa tak main catur pun, tengah syok main gameboy. Would they be close like this when they are grown up? Hope they will cherish such moment in the future. Friendship due to chess. GiLoCatur took the above picture as Cikgu Sufi showed the picture of her daughter, Amira, and Syakir and Nabil while they were young as one of the teams participating in Astro Team chess tournament. New Year Count Down - 60 minute! 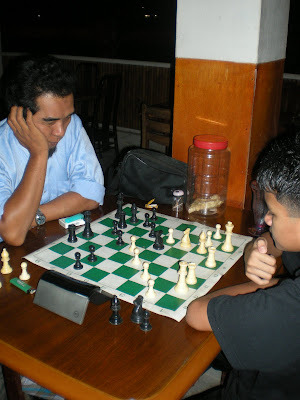 Bersempena dengan kehadiran tahun baru iaitu 2010 yang akan muncul tidak lama lagi, dan tahun 2009 bakal ditinggalkan, GiLoCatur ingin menyorot tahun ini terutamanya dengan kisah2 mengenai catur. Untuk siri yang pertama, berikut GiLoCatur paparkan gambar-gambar peminat2 fanatik dan pemain2 catur Malaysia. GiLoCatur would like to name this as DIFFERENT FACES OF MALAYSIAN CHESS PLAYERS AND FANATICS. Enjoy!!! Chess board siap ada nama sendiri tuh! Chess board tempah khas ni! Look very familiar? Tapi nampak / jumpa di mana ya? 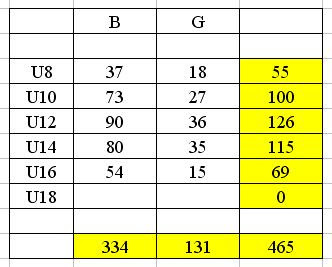 The above are the statistics of the participants for the NAG or National Age-Group of two different years. Perhaps, many do not like statistics like the above. But for GiLoCatur such statistics or figures provide clear and real measurement for improvement or otherwise. What can we interpret from the above statistics? U18 category has been dropped from the tournament. GiLoCatur strongly believes that it should be included in future tournaments. Girls entries is still far behind the boys. Why? Are girls not good or smart enough for chess? Are girls not interested in the game? What should be done to encourage and attract more girls to play chess? In about a decade, the number of participants increase about 150 players. GiLoCatur feels that such increase is still considered low. More efforts to promote and encourage Malaysian youngsters to play and participate in chess need to be done. Parents need to be influenced and encouraged to let and support their children to play chess. One interesting fact about NAG winners is Sumant Subramaniam. In 2000, he was the first runner up in U8 category. 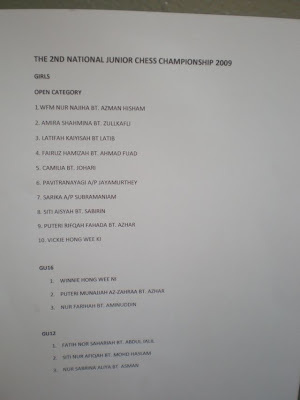 And in 2009, he was the first runner up also in U16 category. 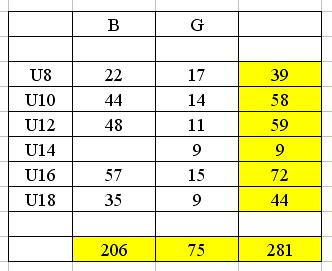 And another interesting fact, other winners in U8 in the year 2000 were not participating in the year 2009. Why? Even GiLoCatur never encounters their names in local chess tournaments. GiLoCatur is hoping the number of participants for the year of 2010 will increase dramatically. The tournament that is scheduled on 14th to 16th March 2010 will be held in Penang, not in Klang Valley like it used to be. 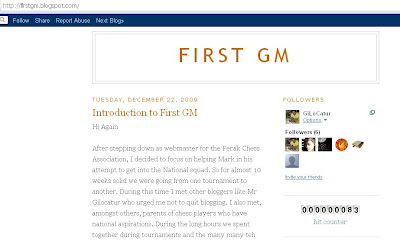 While "googling" about MSSM in researching materials and info for the MSSM2010 blog project that GiLoCatur wants to embark in the coming of the new year of 2010, GiLocatur found an interesting chess-related article written by popular chess columnist, Quah Seng Sun. Below is the article with GiLoCatur's insights and comments in red. 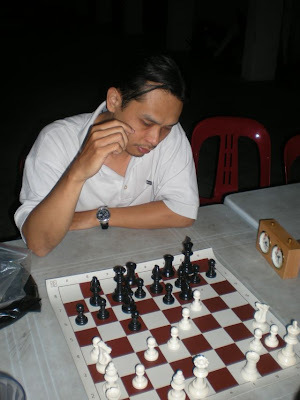 It is interesting to GiLoCatur because it provides lots of info and historical facts about NAG or the Malaysian National Age-Group chess tournament of the past. I WAS at the Putra World Trade Centre in Kuala Lumpur last month to see for myself this year's national age-group chess championship and I must say I was rather unprepared for the sight of more than 300 enthusiastic schoolchildren competing in the big hall. (GiLoCatur : WOW! the NAG in the yesteryears was held in a classy, grand and well-known venue like PWTC. It would be a dream to have the same or similar venue nowadays. We, chess bloggers, will be more happy and proud to publish our national-level chess tournaments and events. 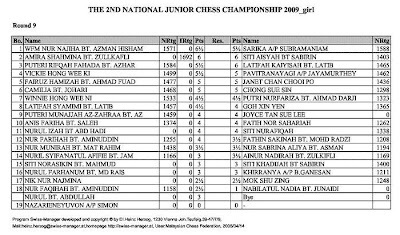 Yes, I am proud to say that despite the setback caused by the withdrawal of the game from the Majlis Sukan Sekolah-Sekolah Malaysia (MSSM) calendar three years ago, scholastic chess is still very much alive in the country. 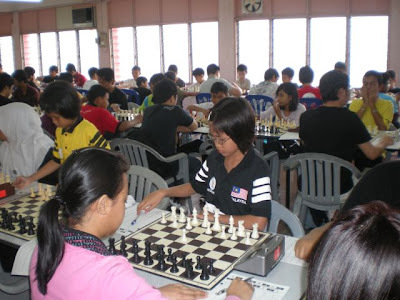 In fact, I can safely say that the popularity of chess among the school-going population is showing no sign of diminishing, thanks to parental encouragement as well as continuing support from the Malaysian Chess Federation (MCF). 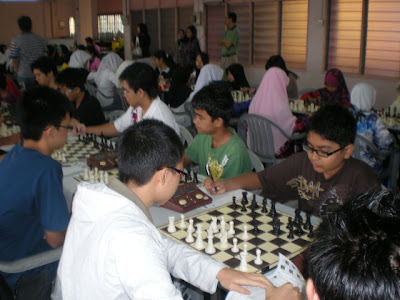 Ever since chess was removed from the MSSM programme, the MCF had tried its best - and succeeded - in raising the quality of the national age-group championship so that schoolchildren would not be deprived of the chance of playing in an important competition at least once a year. To see the hall and the corridors filled with supportive parents says a lot about what they think of the MSSM's short-sighted decision. I had the opportunity to speak to some of them and I could sense the hidden anger when they talked about the MSSM's failure to reinstate the game in its calendar. They talked of discrimination and of getting the short end of the stick from the MSSM. 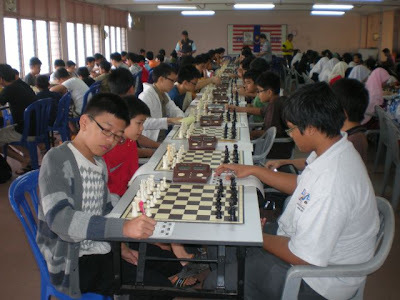 Basically, the parents could not express their frustrations to the education authorities because most of the schools' chess advisors (that is, the teachers) are themselves not very concerned about the fate of the game in the MSSM programme. Without a direction, most of the schools meekly go along with their Majlis Sukan Sekolah-Sekolah Negeri, which in turn simply follow the decisions made at national level. 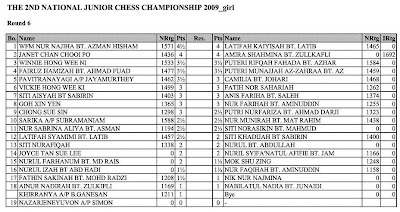 Apart from Selangor and Penang, I do not know of any other state that continues to have their respective schools' chess competitions at the state level every year. The absence of such competition deprives the students of an opportunity to develop themselves mentally in one of the most structured and expressive means. 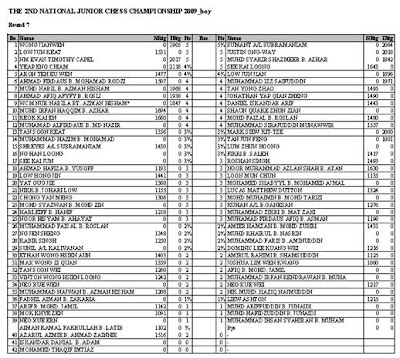 In the meantime, the national age-group championship will have to remain as the only conduit in the country for chess-playing schoolchildren to compete with one another. The championship was divided into six age-groups, with separate events for the boys and girls. The under-eight boys' section attracted 22 players and the top five winners were Tai Wei Yang (6.5 points), Sumanth Subramaniam (six points), Joel Tan Weng Yu (five points), and Koh Zhuan Khye and Bryan Homi Mehta (both with 4.5 points). The under-eight girls' section had 17 players and the winners were Adeline Gan Li Ling and Har Wanth Kaur (both with 5.5 points) and Alena Wan Yuin Yee (five points). There were 44 players in the under-10 boys' section and the winners were Anas Nazreen Bakri (6.5 points), Loke Zhi Kin (six points), Tan Wei Jian (5.5 points), and Lim Tao Sheng and Abdul Kadir Jailani Ramli (five points each). However, there were only 14 players in the under-10 girls' section and the three winners were Effaliana Farid (clean score of seven points), Wan Khye Theng (5.5 points) and Ong Mei Wen (five points). The under-12 boys' section had 48 players and the event was won by Zarul Shazwan Zulkafli with seven points. The other winners were Joshua Tan Hoong Yu (six points), and Thaw Chee Hou, Chan Litt Binn and Hemnath Renganathan (all with five points). With only 11 players in the under-12 girls' section, the winners were Nur Shazwani Zulkafli (six points), and Lee Su Lynn and Lim Han Ying (both with 5.5 points). The under-14 boys' section was hotly contested and the winners were Jonathan Chuah and Nicholas Chan (6.5 points each), and Zach Han Kun Lin, Hafiz Shafruddin and Lim Choo Seng (all with five points each). The girls' section, with nine players, was won by Nishaah Renganathan (6.5 points), Effalini Farid (six points) and Hazuin Husain (five points). There were 57 players in the under-16 boys' section which were won by Khor Shihong (6.5 points), Deon Moh Teng Keong and Au Yoong Yow Loo (six points each), and Aaron Yee Keng Yew and Low Han Boon (five points each). There were 15 players in the under-16 girls' section which was won by Lim Jean Nie (6.5 points), Norsyafawati Ishak (six points) and Jolene Lim Suet Fung (4.5 points). The top section of the championship for under-18 boys' attracted 35 entries and the winners were Lim Chuin Hoong (6.5 points), Teng Wei Khoon and Lim Yee Weng (5.5 points each), and Thaw Chee Yin and Ahmad Abid (five points each). Nine players took part in the under-18 girls' section which was won by Lee Su Ann (6.5 points), and Sim Chui Fong and Marina Soh (five points each). (GiLoCatur : Only know and familiar with few of the above winners. Quite sad that many of the other chess talents are not in the chess circle anymore. By the way, based on the participants statistics, girls entries is very low - 75 compared to more than 200. And in GiLoCatur's opinion, the entries is still about the same every year since then. If not mistaken, the number of last year's NAG did not much increase. It is about 300+, GiLoCatur needs to check the exact number. Meanwhile at the Malaysian Chess Federation's annual general meeting held on April 1, Datuk Sri Sabbaruddin Chik was unanimously re-elected president for a further two years. The incumbent deputy president, Datuk Mohd Rosli Abdul Aziz, also retained his post. The three vice-presidents are Ibrahim Abu Bakar, Mrs Jackie Wong and Nasir Hussein. The secretary is Abdul Hamid Majid and his assistant is Ghazali Che Cob. 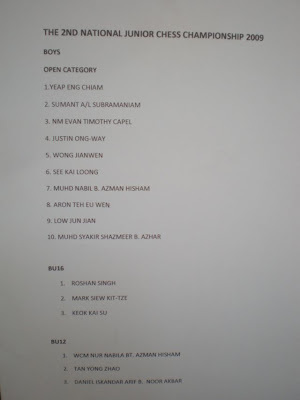 The treasurer's post is filled by Collin Madhavan and the six committee members are Chan Kwai Keong, Zainal Ishak, Wong Fook Loy, Ahmad Safruddin, Haslindah Ruslan and Ibrahim Yaacob. National closed championship The Malaysian Chess Federation will organise this year's national closed chess championship at the Putra World Trade Centre from May 27 to 31. It is the most important annual event in the Malaysian chess calendar and will have separate sections for men and women. The men's section will, at the very least, be a nine-round event and the winner will be awarded the Datuk Hussein Onn challenge trophy. The winner of the women's section, which will be played over seven rounds, will receive the Datuk Sabbaruddin Chik trophy. In addition, the PWTC will award trophies to the most promising under-18 male and female players. The Penang Chess Association, Chess Association of Selangor, Kuala Lumpur Chess Association, Malaysian Malays Chess Association (PCMM?) 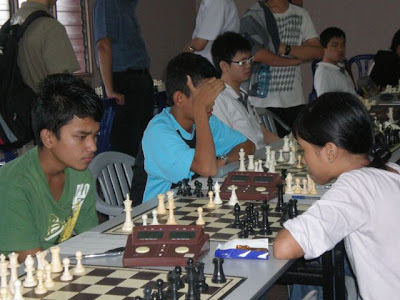 and Terengganu Chess Association can send a maximum of six players to the men's event and four to the women's, while the other state chess associations can each send a maximum of four and two players respectively. Anyone interested in this competition and who would like to be selected, should contact their respective chess associations immediately. 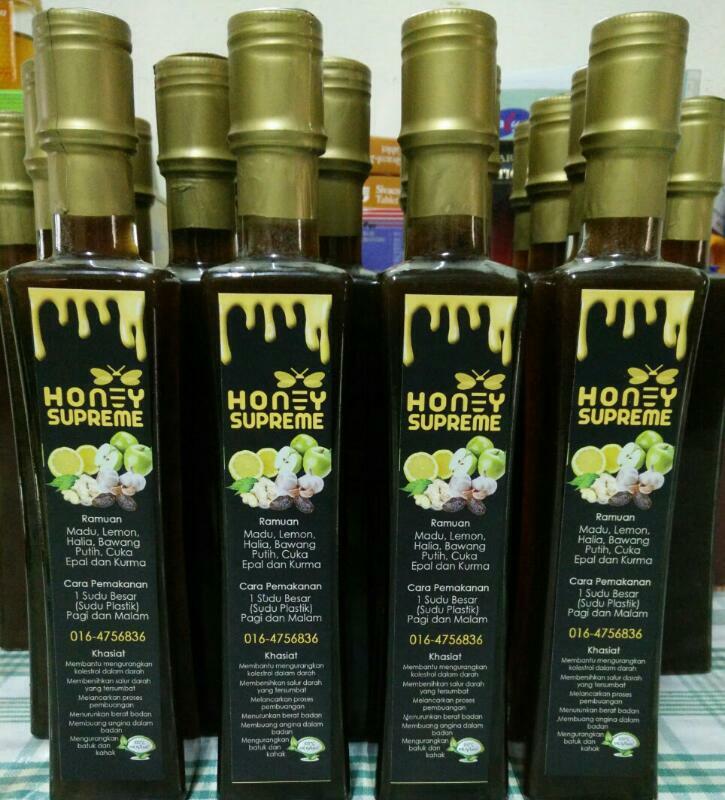 The persons to contact are Mrs Jackie Wong, Selangor 03-703 8237; Ooi Kiem Boo, Penang 04-826 3764; Dr Yee Meng Kheong, Perak 05-546 4530; Stephen Cheong, Johor 07-333 9636; Muhammad Arshad, Terengganu 018-895 8041; Wan Abdullah, Pahang 09-583 3205; Khirluddin Darus, Perlis 06-976 5485; Dr Mohd Ishak, Malacca 06-283 5878; Charles Chan, Negeri Sembilan 06-631 7971; Sylvester Asai, Sabah 088-764 305; Lim Kian Hwa, Sarawak 082-427 772, Dr Mohd Foudri, Kuala Lumpur 03-9074 4810 and Rahman, Kelantan 09-787 8079. 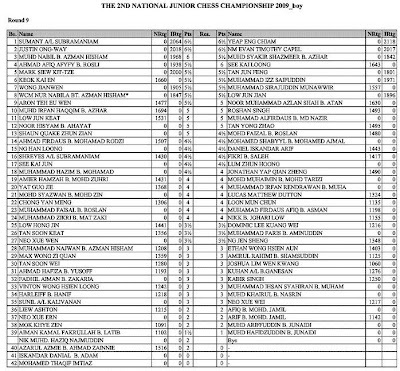 The national champions of the past 16 years and local players who are on the FIDE rating list are given direct entry into the competition. However, they must still be registered for the championship through their respective chess associations. The northern region's biggest chess event, the annual Penang Dell Chess League, starts on June 11 at the premises of Dell Asia Pacific in the Bayan Lepas Free Industrial Zone. 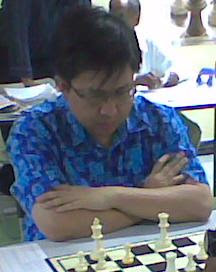 The tournament, now in its 10th year, is organised by the Penang Chess Association and sponsored by Dell Asia Pacific. The championship will be played on Sundays and is scheduled to end on Aug 6. Only teams representing the public and private sectors, institutions of learning and registered associations, societies and clubs are allowed to play in the league. A guest player may be included in each team, but the other players in the team must strictly be employees, students or members of the organisation which they represent. Players who are unable to play as guest players in any team are requested to contact the Penang Chess Association (PCA) immediately. If the response is encouraging enough, the PCA will consider grouping them together to play under the association's banner. Provision has been made for a maximum of 30 teams to take part, and each team is allowed up to eight players. However, only four players from each team will play in every round. This year's event will again be split into three divisions. The third division will comprise teams of mainly novice players, while the first and second divisions will be made up of the more regular teams that have been taking part in previous chess leagues. The entry fee is RM150 per team and cash prizes are guaranteed for the top teams in each of the three divisions. Closing date for entries is June 3. 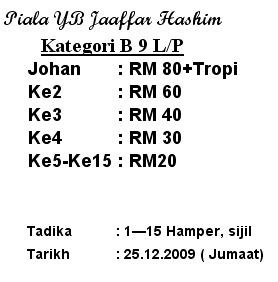 For more details, contact Chan Kim Beng 012-451 8811 Goh Yoon Wah 04-644 5687 or Ooi Kiem Boo 04-826 3764 in the evenings. The Perak International Chess Association will hold their latest grand prix events at the Sekolah Tuanku Abdul Rahman in Ipoh next weekend. The two-day Category A event for players with PICA ratings of above 1700 will be played on May 13 and 14, while the Category B event for players with no PICA ratings or with rating points below 1700 will be held on May 14. Both events will be conducted over six rounds but with different time controls. 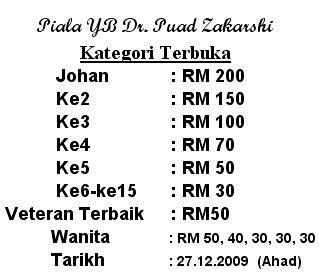 For more information, contact WK Wong 05-366 1692. The Sekolah Kebangsaan Sri Aman in Penang will hold an open tournament for boys and girls in the under-12 and under-10 age categories from 8am to 1pm on May 14. Entry fee is RM3 per player and registration closes on May 12. For details, contact Eoh Hook Kim 04-826 0196. Greg Lau bert-shirt warna merah dan Mohd Zuhri, ayah Amier Hamzah di sebelah kirinya. dari kanan, Azman Hisham Che Doi, Cikgu Zullkafli, Azhar Mohd Said dan NAM Ali - antara para ibubapa di negara ini yang sangat komited dengan catur. 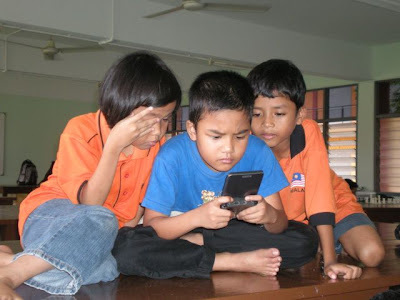 Kedua-dua gambar di atas GiLoCatur tangkap menggunakan handphone Nokia ketika NJCC 2009 sedang berlansung (lupa pula hari yang ke berapa). Bagi GiLoCatur, kedua-dua gambar di atas sangat penting dan signifikan kepada sukan catur di negara ini. Kerana beberapa isu penting berkenaan catur di negara ini dibincangkan bersama di antara Setiausaha Persatuan Catur Malaysia (MCF), Greg Lau, dan beberapa orang "parents". Semoga perbincangan dan diskusi sebegini akan lebih kerap dan membuahkan hasil. GiLoCatur amat berharap segala apa yang dibincangkan dan dibangkitkan akan memberi manafaat kepada semua pemain, peminat, penggiat dan ibubapa catur di negara ini. GiLoCatur just arrived at Shah Alam from hometown from the three-day weekend at around 8.30pm. Quite a hectic weekend working at the palm-tree farm or "kebun". Attending an engagement reception. And interestingly had a couple of chess games. While at hometown, Sarjan Ismail Ahmad who was representing Wilayah Persekutuan in the Interstate Chess Championship held in Sibu, Sarawak had texted or smsed his fourth round game against Abdullah Che Hassan. Quite a beautiful game with a Queen sacrifice. 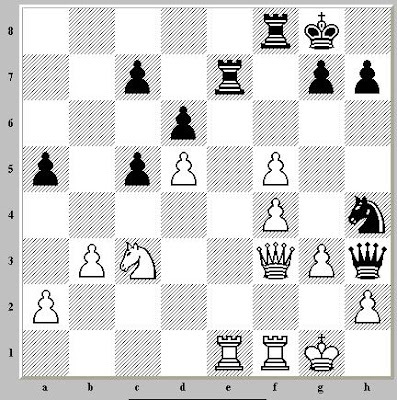 Hairulov had his annotation of the game in his blog. By the way, a big thank you to Ismail Ahmad for sharing the game. 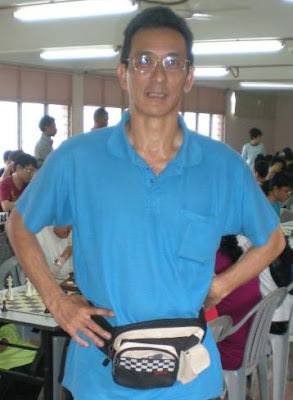 GiLoCatur received an email from Mr Raymond Siew informing about his new chess blog. GiLoCatur is very glad that he keeps blogging in his new personal blog after stepping down as the blogmaster for the PICA's blog. 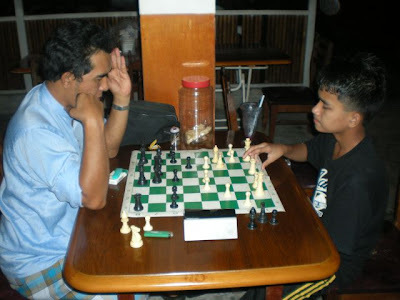 Based on his continuous commitment and big support for his son's chess career, GiLoCatur believes the Malaysian chess fraternity will gain much benefits from him. So, visit Mr Raymond's blog here. Good Luck to Mr Raymond in making his son, Mark, a chess GM. In the Klang Valley, for those who have free time and going nowhere during the Christmas weekend, there is a rapid chess tournament. Where? 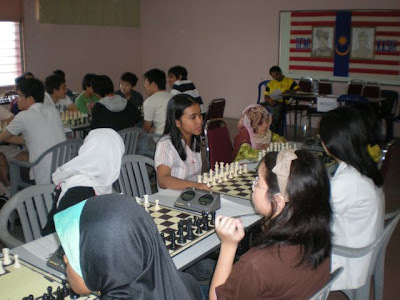 VENUE: EXCEL CHESS ACADEMY, 26A JALAN HUJAN EMAS 4, OUG, JALAN KELANG LAMA. POSKOD 58200 KUALA LUMPUR. GiLoCatur and family have to go back hometown for a "majlis" or function of a close relative. So, we can not participate in this tournament. GiLoCatur was in the dark what the hell is 10.20.30 all about as per in the above entry tittle. Actually, what it means is the 10 refers to 10 rounds of games played in the tournament, the 20 refers to 20 minute time-control and the 30 refers to 30 seconds increment. "MALU BERTANYA SESAT JALAN" is the Malay idiom which literally means that if you are shy to ask question you will be lost in finding the direction. So, the moral is ask question if you don't know. 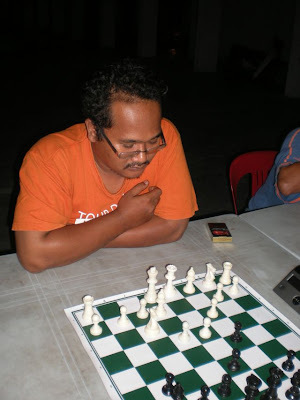 Batu Pahat Chess Association is alive. How about other chess associations or clubs all round the country? Does anyone knows how many are there in the country? Is your hometown has a chess association or club? Luckily, GiLoCatur's hometown of Sabak Bernam has one. 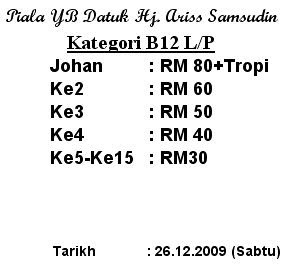 Insya Allah, GiLoCatur will help promote and bring Sabak Bernam Chess Club alive again! 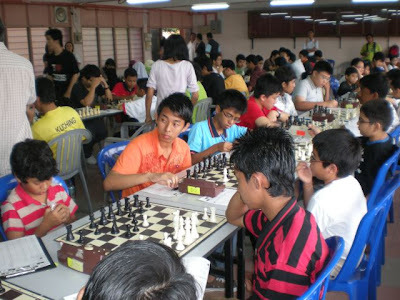 In fact, Sabak Bernam will host the state's MSS chess tournament in February 2010. Insya Allah, GiLoCatur will be there to do the coverage. Hopefully, chess will always be there in the annual MSSM calendar. Click here to know how to get to the venue. 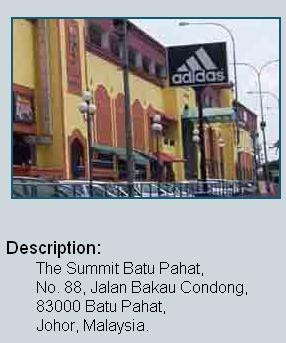 Do you know what is Batu Pahat formerly known as? What is the population of Batu Pahat? Wow! A three-day of chess tournament! Where? In Summit Shopping Complex Batu Pahat, Johor. When? During this Christmas weekend - 25th (Friday), 26th (Saturday) & 27th (Sunday). The tournament format? Swiss system of 6 or 7 rounds. Time control of 25 minute per player or G/25. Before in Skudai with the Giant Shopping Complex. Now, in Batu Pahat with the Summit Shopping Complex. GiLoCatur on behalf of the Malaysian chess fraternity would like to say big "TERIMA KASIH" or thank you to both the organizers and the sponsors. "Terima kasih daun keladi, selalu-selalulah organize lagi!" GiLoCatur hopes the tournament will attract many participants. If we, the chess lovers, players and parents, do not support such tournament, don't blame others like sponsors and organizers for not supporting, helping and promoting chess in this country. GiLoCatur would be very honoured if the organizer can share the results and pictures of the winners by sending them via email. Click here if you want to know a little bit about Batu Pahat. The 2nd National Junior Chess Championship (NJCC) is over today. The winners had been identified. In the Open (boys) category, four players with the same score of 7/9 points had to battle in the play-offs of rapid games. 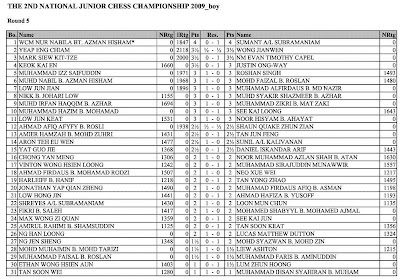 Eventually, Yeap Eng Chiam is crowned the NJM or National Junior Master. Sumant is the first runner up while NM Evan Timothy Capel is the second runner up. 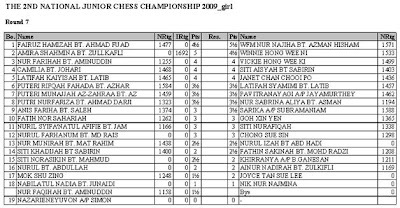 In the Girls category, WFM Nur Nabila ( GiLoCatur : actually, Nur Najiha. Sorry for the error due to lack of sleep. 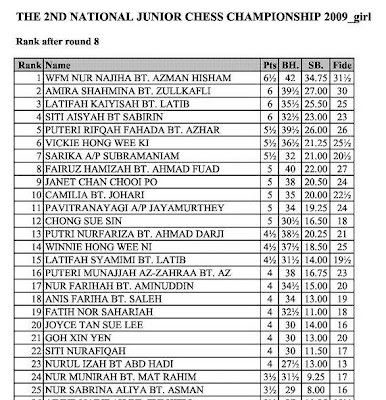 LOL ... 20/12/2009, 11.50pm ) is the new NJWM or National Junior Woman Master. The first runner up went to Amira Shahmina and the second runner up goes to Latifah Kaiyisah Latib. Tahniah or Congratulations to all the winners. So, the championship will be over by tomorrow afternoon. Four players with 6.5/8 have the chance to be titled as the 2009 NJM. Who will emerge as the new NJM tomorrow? Let's wait and see! 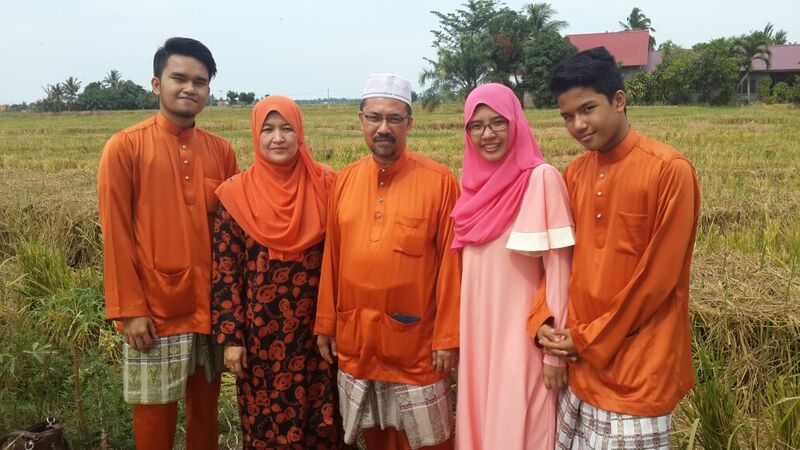 WCM Nur Najiha has the edge to be the new NJWM to continue the Azman Hisham legacy. By winning the final round against Sarika, she will emerge champion. Three other players of three different MSS states - Selangor (Amira), WP (Latifah Kaiyisah) and Terengganu (Siti Aisyah), with 6/8 points are waiting any slip up from Najiha to earn the title. GiLoCatur needs to go to bed now for the final day of NJCC tomorrow. It is 30 minutes past 3am now. Today, two out of the six games for the Malaysian Masters Final between Mas Hafizulhelmi and Nicholas Chan were played today. Tomorrow will be another two games. Luckily, the battle can be followed online. 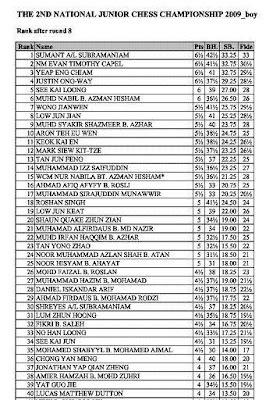 And there are also analysis of the games including by Mas's Dresden Olympiad teammates - IM Mok, IM Yee Weng and IM Jimmy Liew. The very supportive chess parents watching over their kids during the tournament. GiLoCatur salutes them all!!! "Kepada anak-anak yang sangat beruntung kerana ibubapa yang menyokong penglibatan dalam sukan catur ( not popular though (:- ) mereka, jangan hampakan ibubapa. 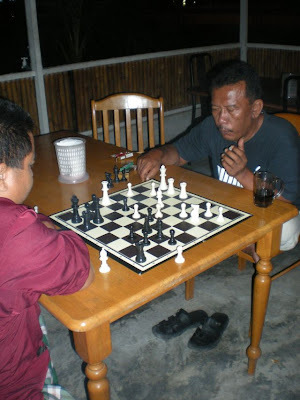 Bermainlah dengan bersungguh-sungguh dan perbaiki permainan catur semaksima mungkin. 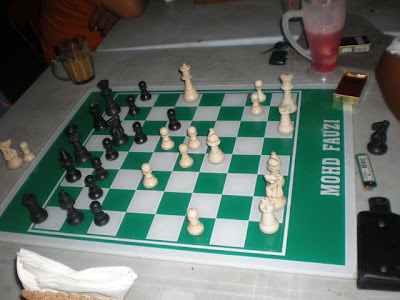 Practice, study, analyze games dan buat chess puzzle. Ibubapa bukanlah mengharapkan kemenangan setiap masa tetapi fokus, komited dan hargai pengorbanan masa, wang dan tenaga mereka. Bayangkan ada mereka yang memandu dari Johor, Kelantan, Terengganu dan Kedah. Sila hargai jasa mereka." Please spread the words to other friends. Chess is very good! So, let's play chess! Join the school chess club. Visit below links to find out about the benefits of chess. After six rounds, leading all the players was Sumant with 5.5/6 points. Six players were 5/6 points. And three had 4.5/6 points. The pairings ? Both Sumant and Justin had 6/7 points each. All players at the next two boards had 5.5/7. Another player with the same score was Jun Jian. Nabil, Sirajuddin and Afyfy all had 5/7 points. WFM Nur Najiha is leading the pack with 5.5/6 points. 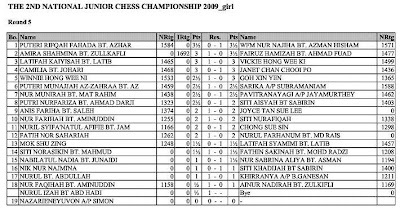 She and five other MSS Selangor state players are playing in the top three tables / boards. Nabila played against Kedah player, Fairuz Hamizah. Amira Shahmina played white versus Winnie while her sister, Vickie, had Nur Farihah Aminuddin as her opponent. The results ? Nabila and Fairuz drew, Both Amira and Vickie won their respective tournaments. So, Nabila - 6/7, Fairuz - 5/7, Amira - 6/7, Vickie - 5/7. Siti Aisyah and Latifah Kaiyisah were another players with 5/7 points. TERIMA KASIH SEMUA PELAWAT GILOCATUR! 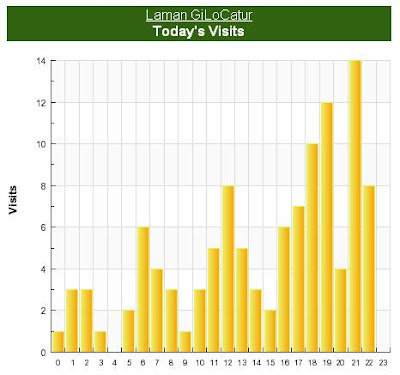 "THANK YOU" to all GiLoCatur's Blog visitors. GiLoCatur starts today's blog entries with the above line. GiLoCatur is very sorry for not able to put the latest updates on NJCC as soon as possible. GiLoCatur is very tired and had hectic day. Furthermore, having slow internet connection at the tournament venue is the main reason why GiLoCatur can not update earlier and during the tournament itself. The tournament environment and watching over GiLoCatur's son and daughter during the tournament itself have big impact in doing the tournament coverage. Looking at the below statistics of the visits, many are eager to know the tournament's update. As early as 6.00pm, more visits are recorded hoping maybe to get the updates of the tournament. The same goes at 7.00pm. During 8.00pm hour, the statistics drop. It is dinner time and maghrib prayer for the muslims. During the 9.00pm hour, the number skyrockets again. 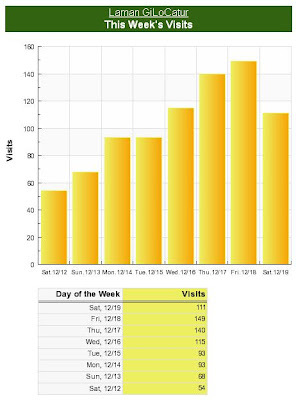 Looking at the above "this week's visits" chart, the visits pass over 100 mark even peak to nearly 150. It shows that people are hunger for updates and info when there is a chess tournament. This aspect of publishing latest updates and results of a certain chess tournament is very important and crucial in putting chess into a better limelight. It is still lacking in Malaysia. 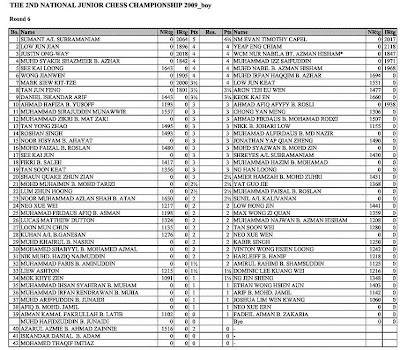 By having fast updates and results, chess can be alive and kicking in this country and in ASEAN as well. Chess followers in this country can be bigger if proper info dissemination takes place. 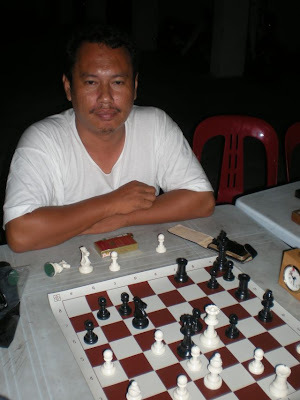 So, GiLoCatur hopes Malaysian chess bloggers are very active and keep their blogs updated as often as possible. GiLoCatur knows it will take lots of efforts and time especially to full-time working bloggers. GiLoCatur is determined to promote chess as a contribution for nation-building because by doing so GiLoCatur will be part of "pembangunan modal insan". Once again, GiLoCatur says terima kasih or THANK YOU to all visitors. Three more rounds to go, two tomorrow and the final round on Sunday. In the Boys category, Sumant Subramaniam is leading by half-point. 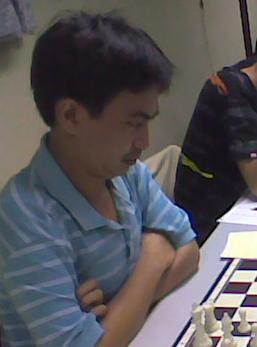 In the seventh round, he will play black versus Jianwen. He is getting closer to the NJM title. The other top three tables will be on center stage tomorrow because their results will have impact on the overall result. If they draw, the winners of other lower seven boards will overtake those top positions. Fikri will battle against Ng Han Loong, a fellow 3.5 pointers, at Table #16. Both of them are among the nine players with the same score. 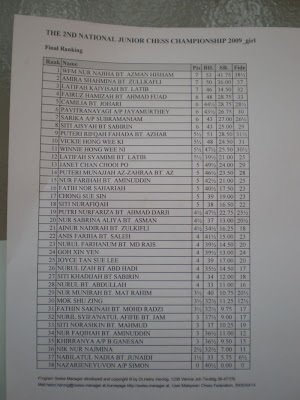 In the Girls section, WFM Nur Najiha is leading now with 5.5/6 points. Half-point behind is Amira followed by the Kedahan Fairuz and Winnie. Players at Table #3, #4 and #5 are waiting their chances to overtake the two 4.5-point players. Anis Fariha will have an uphill battle to win against Sarika Subramaniam at Table #9. She will play white. While her SKBJ team mate, Nur Faqihah, will have a bye. BEST OF LUCK! to all participants. While surfing at fireyrook blogspot, GiLoCatur noticed something that attracts GiLoCatur's eyes. fireyrook Berita TV3 umumkan permainan catur dimasukkan dalam acara temasya sukan SEA di Indonesia pada tahun 2011! So, GiLoCatur "googled" and found below BERNAMA news. Yes, it is confirmed that CHESS will be included in the 26th SEA Games in Jakarta, Indonesia. So, it is a good news for the Malaysian chess players. GiLoCatur hopes it will motivate them especially the young players to work hard to be among the top Malaysian chess players to be able to represent the country in SEA games. Hopefully, MCF will announce its selection criteria so that the Malaysian chess players can work hard to compete for the slots. Or MCF can check from the SEA games committee about chess participants. Like for soccer, the players must be Under 23. Daripada Zulhilmi Supaat VIENTIANE, 7 Dis (Bernama) -- Tuan rumah Sukan SEA ke-26, Indonesia akan menganjurkan 37 acara termasuk dua acara sukan extrem dan dua acara baru pada temasya yang akan diadakan di empat wilayah pada 2011. Wakil Malaysia pada mesyuarat Jawatankuasa Eksekutif Persekutuan Sukan SEA (SGF) Datuk Sieh Kok Chi berkata Indonesia juga akan menggugurkan empat acara yang dipertandingkan pada temasya ke-25 di sini iaitu acara petanque, renang sirip, muay thai dan timang bulu ayam. "Dua acara sukan extrem yang dimasukkan ialah mendaki tembok dan kasut roda," katanya kepada Bernama, di sini, Isnin. Sieh yang juga setiausaha kehormat Majlis Olimpik Malasia (MOM) sebelum itu menghadiri mesyuarat berkenaan yang diadakan di sebuah hotel di sini. Beliau berkata Indonesia akan menawarkan acara badminton, angkat berat, akuatik, bola sepak, memanah, menembak, silat, taekwando, olahraga, skuasy, hoki, billiard & snuker, tinju, bola tampar, bola keranjang, golf, judo, sepak takraw, ping-pong, wushu dan berbasikal. Acara lain yang tidak dipertandingkan di Vientiane tetapi ditawarkan di Indonesia ialah tenpin boling, ekuestrian, gimnastik, lawan pedang, catur, lumba bot tradisional, kayak, mendayung, pelayaran, bola lisut dan besbol. Indonesia juga buat pertama kalinya dalam sejarah Sukan SEA menawar acara Kempo, sejenis sukan lawan pedang menggunakan buluh, yang berasal dari Jepun. Selain itu, negara itu juga menawarkan acara powerlifting bagi atlet normal. Acara itu sebenarnya adalah acara bagi atlet paralimpik. Sieh berkata Singapura telah menarik diri daripada menganjurkan Sukan SEA ke-27 pada 2013. Vietnam, tuan rumah Sukan SEA ke-23 bagaimanapun telah menawar diri untuk menganjurkannya jika tiada negara Asean lain yang berminat. Sieh berkata mengikut giliran yang ditetapkan SGF, Singapura sepatutnya menganjurkan temasya dwi-tahunan itu pada 2013, diikuti Kemboja, Myanmar, Brunei, Malaysia dan Vietnam. The perfect scorers - WCM Najiha and Sumant, met at the top table. Sumant showed his strength and wits to beat Nabila. Thus, Sumant is leading with 5/5 points. Will someone stop him cruising through to be the new National Junior Master (NJM)? Thank You, Leong Mun Wan!